This drydock at League Island was proposed in 1912 when it became obvious that Philadelphia’s existing facilities could not accommodate the upcoming generation of battleships. 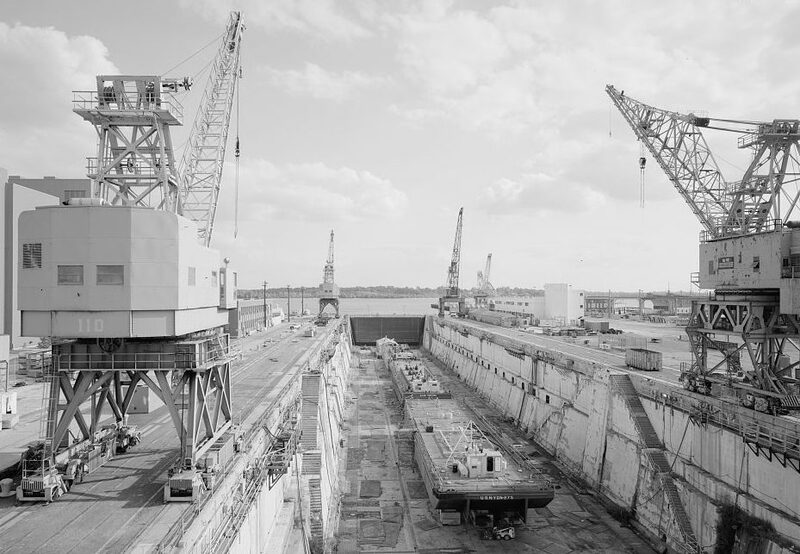 Philadelphia’s Naval Shipyard had been in existence since 1801 and saw periods of boom and bust with each civil and international conflict in which the U.S. used naval forces. Sold to the United States government in 1868, League Island operated as a Naval Shipyard until 1996. At its peak in World War II, the shipyard employed more than fifty thousand workers. During the Vietnam War, the Navy Yard entered its most active period of operations and highest level of employment since World War II. Nevertheless, postwar cuts were a constant fear and persistent reality. 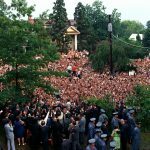 During the Cold War the Soviet Union and the United States avoided direct military conflict but battled against each other in a nuclear arms race for which Philadelphia’s military shipbuilding industry was not prepared. 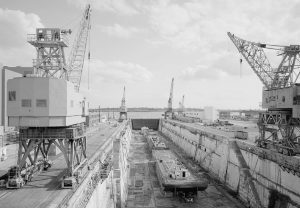 Without the ability to either build or modernize a nuclear navy, the Navy Yard gradually became an outdated and closed to military shipbuilding in 1996-97. Posted by Mariam Williams on June 26, 2017 at 5:08 pm. Bookmark the permalink. Follow any comments here with the RSS feed for this post. Trackbacks are closed, but you can post a comment.